Quincy firefighters received a call around 8:30 p.m. for a report of a fire at Twin River Technologies on Washington Street. 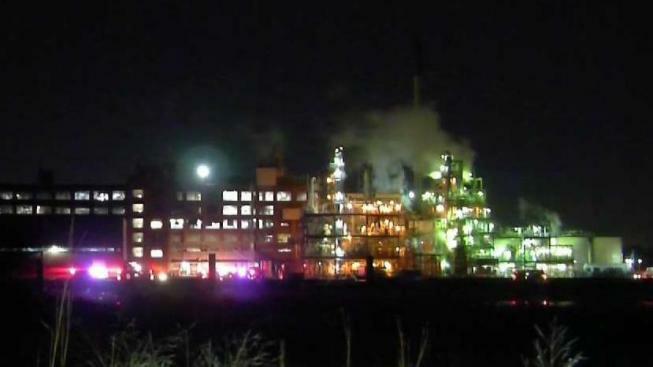 A fire broke out Saturday night at a chemical manufacturer in Quincy, Massachusetts. Employees told firefighters on arrival that an oil-based product was on fire. Water and foam were used to knock the fire down, and the flames were under control within 30 minutes. Fire officials say 1,000 gallons of coconut oil were leaking from a refractor and caught fire.